The children absolutely love making Pizza Pinwheels with me. They are so simple to make, taste great and are lovely to look at as well. We have them for a simple lunch, as part of a buffet, as a party treat or even when we’re making a picnic. How easy are Pizza Pinwheels to make? 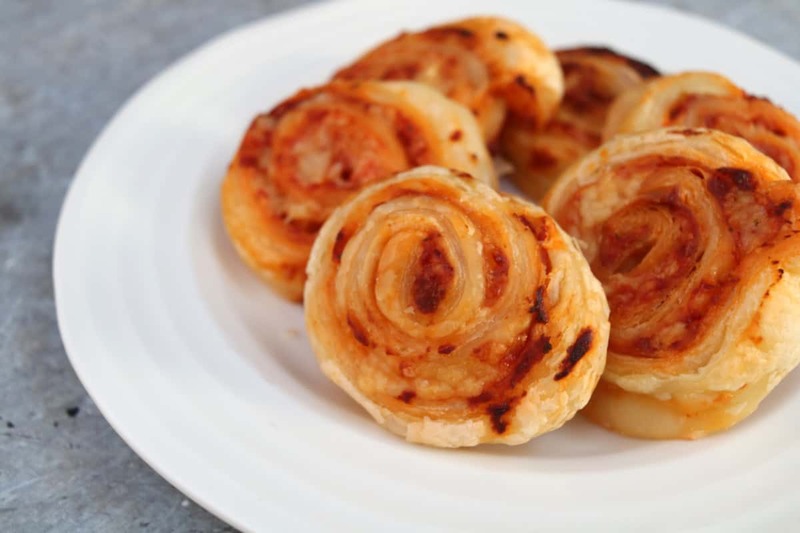 Pizza Pinwheels – or Pizza Swirls as we call them too – are one of the simplest things to make in the kitchen. 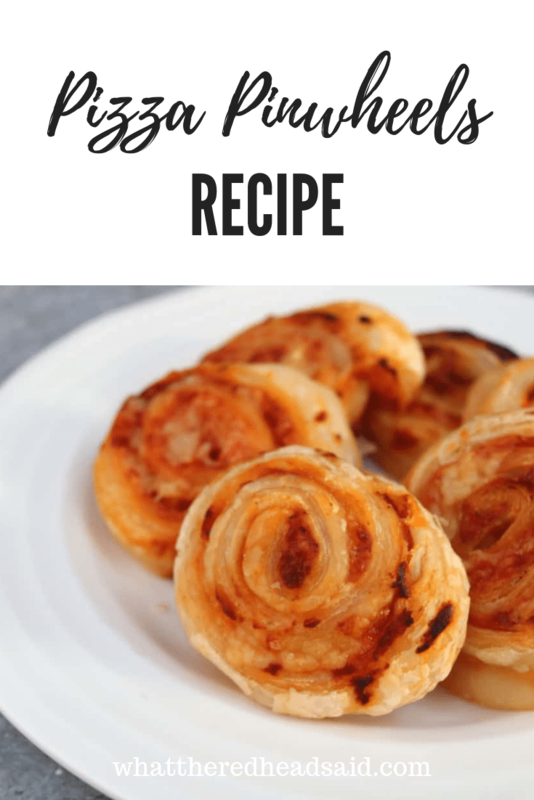 You can adapt the recipe to make any flavour pinwheels you like and this recipe will give you a basic cheese and tomato recipe that you really can’t go wrong with. 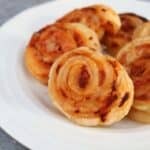 Can you vary the Pizza Pinwheels recipe? You can add herbs to this – although the children prefer them plain – and you could add things like pepperoni, ham or any vegetables cut up small so they will roll nicely with the pastry. If you’re looking for something to enjoy in a lunchbox, out and about on a picnic or on a long journey in the car then these are a really great option. just make sure you store them in an airtight container and they’ll last well for a few days. Who doesn’t love pizza? Any variation on a pizza recipe will always be a winner with the whole family and it’s great to find something that they children don’t just love to eat but love to help make too. They both volunteer to make these regularly and even ask to make them sometimes too. Pizza pinwheels are a sure fire hit with children. 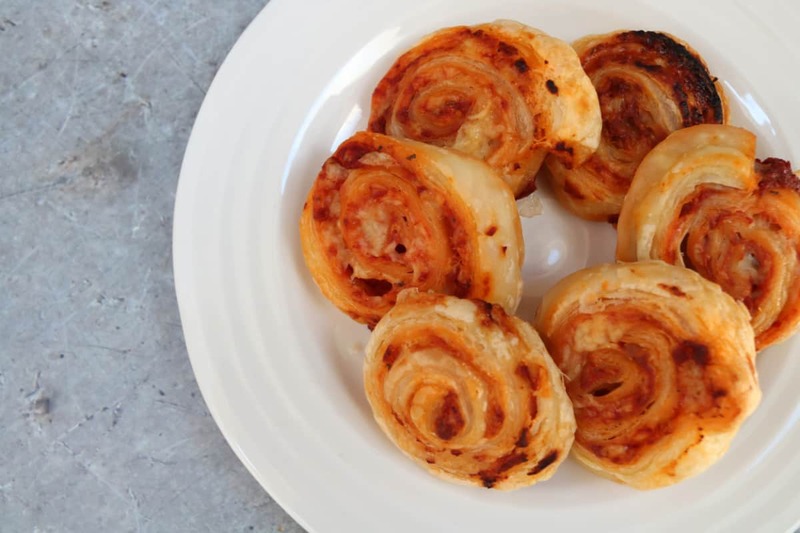 So here’s our Pizza Pinwheels recipe – happy baking! If you’d like to print or pin the Pizza Pinwheels recipe for later you can do so below. Enjoy! They are so simple to make, taste great and are lovely to look at as well. We have them for a simple lunch, as part of a buffet, as a party treat or even when we’re making a picnic. Ooh they look delicious! A nice one for children to help with too.